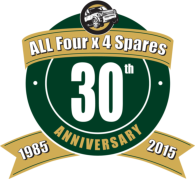 Still the home of Land Rover parts from the older models such as Series 1, 2, 2a and 3 right up to current, we can help with your Landy needs. If you are unable to find what you need here please contact us and we will endeavour to find it for you. Spare parts for Land Rover Series 1, 2A and 3. We stock a huge range of spare parts for Land Rover Discovery. We stock an extensive range of new parts for Landrover Discovery. We stock an extensive range of new parts for Landrover Discovery 3 & 4. Spare parts for your Landrover Defender and County. Check out our range of spare parts for your Freelander.